In the same way that successful marketing strategies use more than one medium, this section helps to diversify how Kevin's safety buy-in message can work for your company. Books, e-books, videos and downloads are available here. In addition, a special section is available for those who are preparing meetings. These short e-books were written by Kevin and made available for FREE download in an effort to help safety managers communicate their messages more effectively and to keep abreast of the relevant knowledge in developing a winning safety marketing strategy. 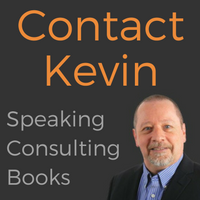 If you're a Meeting Planner and are looking for information and marketing materials for Kevin's speaking presentations, then this is the page for you. Safety is all-encompassing, which means that each and every department of your organization needs to work together. 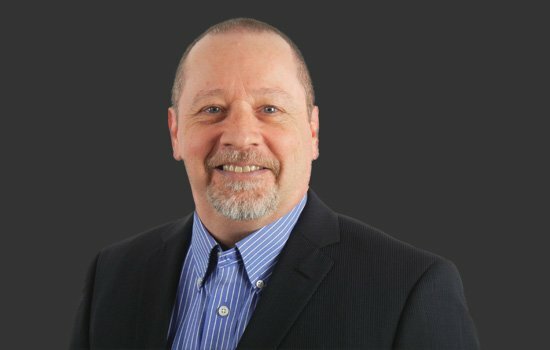 In this section, Kevin talks about safety as well as management, HR and other relevant ideas for better safety performance. Kevin has written and published seven books already, and more are on the way. In this section, you will find the titles that are active and available in paperback, hardcover and e-book formats. 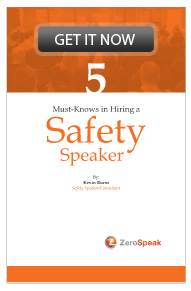 Not all safety speakers are equal - not by a longshot. Know the difference.